Open yourself up to a whole new world of hooping possibilities! Whether you are a brand new hooper, or you’ve been hooping for a decade, this is a must in every hooper’s collection. You will love these hoops! They are extremely responsive to your body’s every move. Theys are also a great choice for children, because they are much lighter weight than our standard adult beginner hoops. 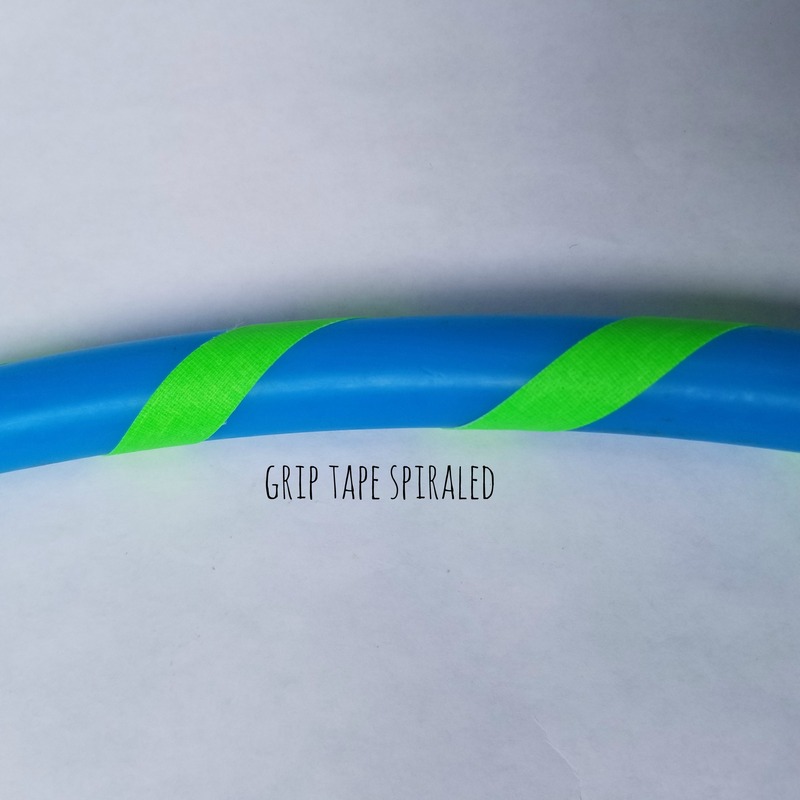 Colored grip tape added for free! If this is your first hdpe hoop and you aren’t sure what diameter to choose, pick something between 2-4 inches smaller than your beginner hoop, and make sure to select 3/4″ tubing. 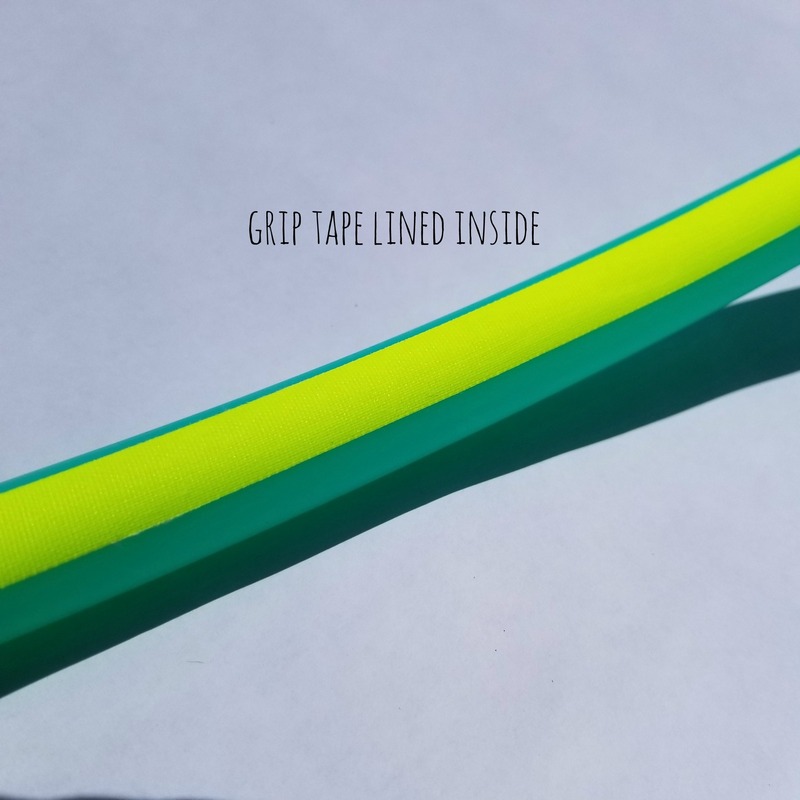 To upgrade to 3m super-grippy tape to your hoop, choose “no grip” on the grip option below, and then go here to add the 3m upgrade to your cart. Try our Hoop Wax for even more extra grip! Some colors may temporarily unavailable, as the colors we choose are extra special and limited in production. We will keep our options as up to date as possible each day. Our Lightweight HDPE Hula Hoops are made of either 3/4″ OD (outer diameter) or 5/8″ OD HDPE tubing which is a light, durable material. 3/4″ is a little bit thicker and well suited for all skill levels. 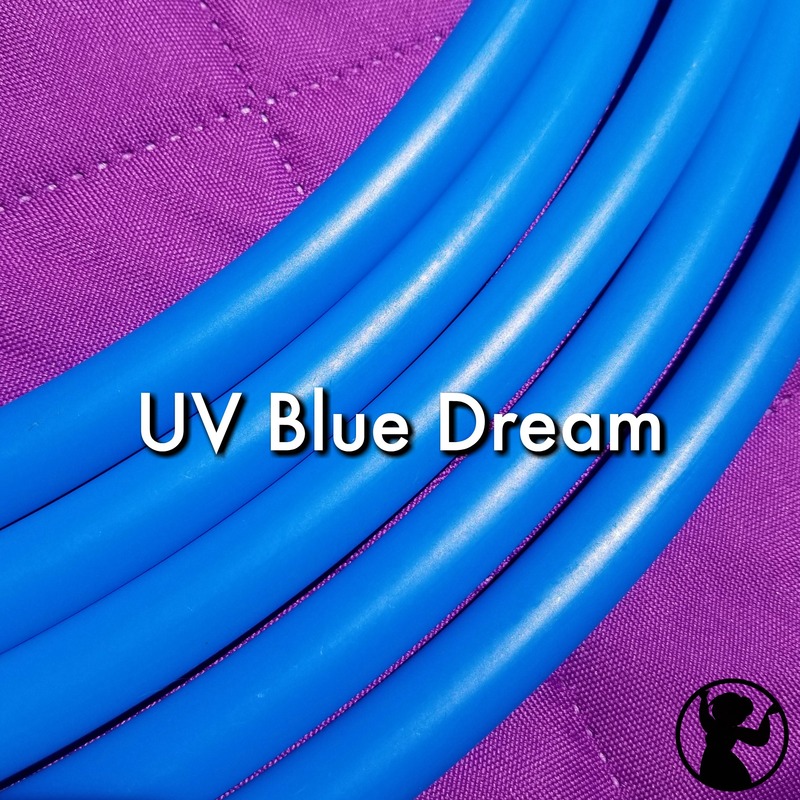 5/8″ tubing is skinnier and even lighter, making it lightning fast and mostly preferred by super duper advanced hoopers! Our tubing colors are always changing as we stock new stuff, so check the picture and drop down above to see what colors we currently have. These hoops have a rivet & spring-button connection and can be easily coiled down and reconnected to make them more manageable when traveling. Click here for an instructional video. 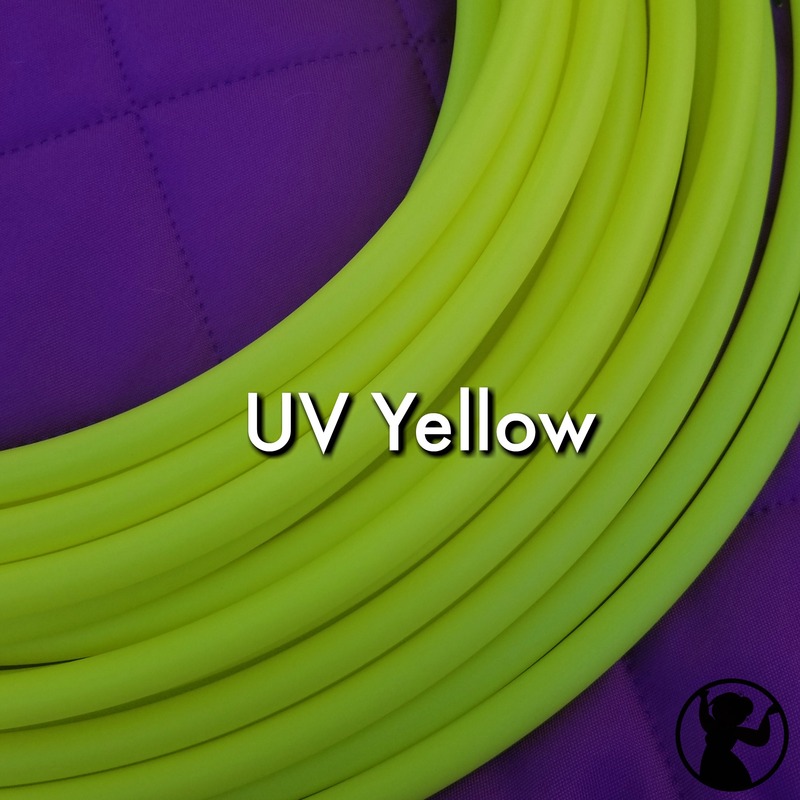 If you would like to read more about HDPE material, please look at our article on Types of Tubing Used for Making Hula Hoops. We really love HDPE even more than polypro! 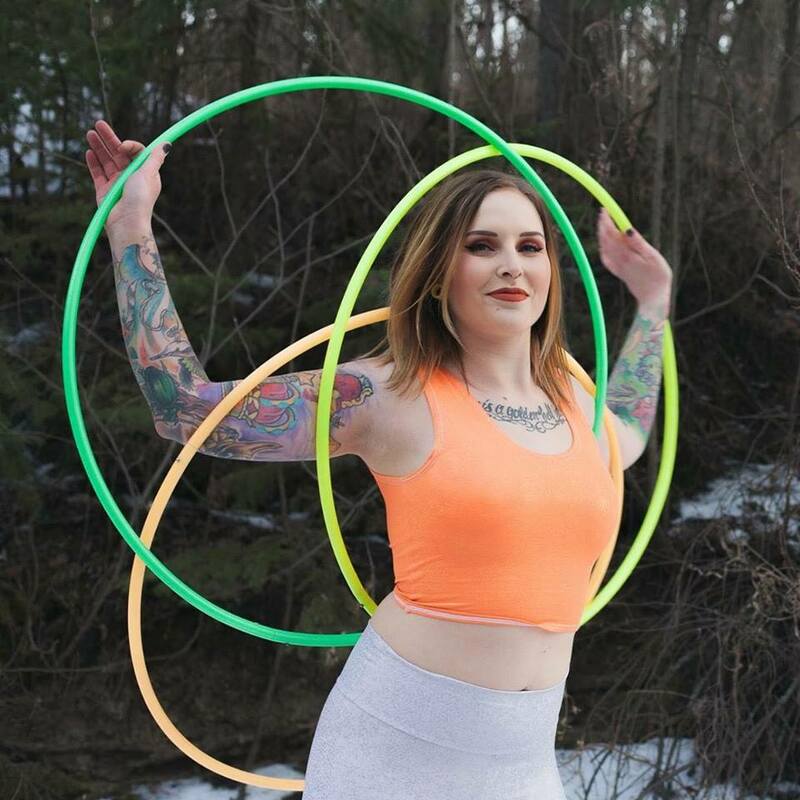 If you’d rather have a beginner hoop, click here! We measure our diameters by OD (outer diameter – outer edge to outer edge). You may want to also have a looksie at our doubles and minis listings. 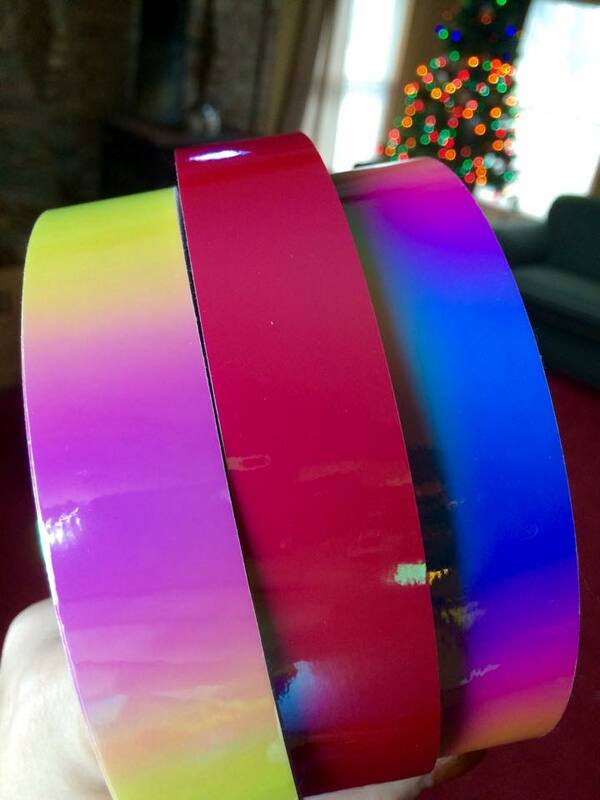 To add gorgeous iridescent see-through tape to your hoop, click the image below after adding a hoop to your cart. Thank you Lindsey, for putting the time and care into making me a gorgeous hoop!! i absolutely love it!! Even tho it was coiled down it came out into a perfect circle, no waiting and leaving it out in the sun. The grip tape placed on the inside was excellent oh and the connecter and where its cut is flawless!!! 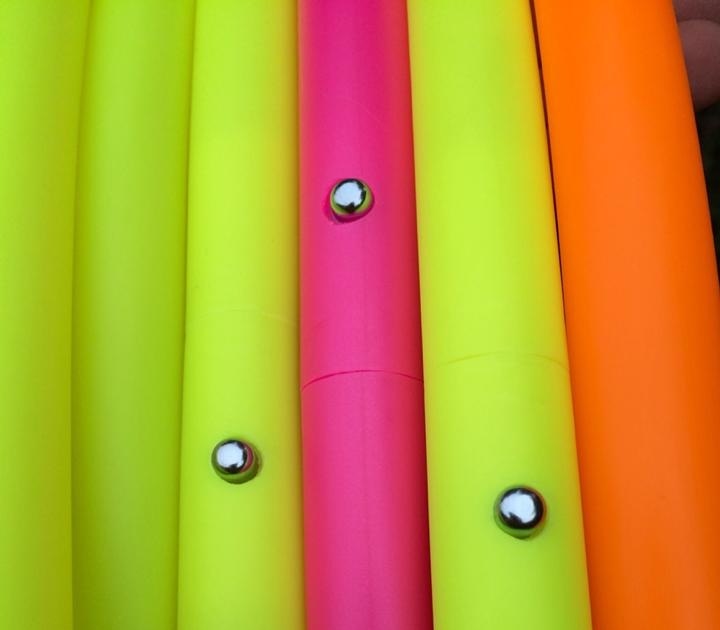 I received a 38in hot pink bare hoop with lime green grip on the inside and push button connectors. Let me just say this hoop is beautiful! Since it is bare except for grip tape, its important to me for the tubing to be smooth and unscratched. The package was solid (almost difficult to get into!) and there was no way it could have been damaged in transit from WV to IL. I immediately uncoiled it and the shape was perfect. I don’t have any problem snapping it together or popping it apart. A few days later I took my hoop to work with me where it would be sitting in the car until I met up with a fellow Hooper, it didn’t occur to me until I was long gone on the road that the heat may warp the tubing. I contacted Ruby Hooping via facebook and she responded within the hour with advise to uncoil my hoop and lay it as flat as possible while it was in the car. That is excellent customer service and shows that she genuinely cares about the hoops she sends out. Will definitely purchase many more hoops! I love my HDPE hoops! Delivery was so quick and Lindsay was a joy to deal with. Thank you! I’m so in love with my jade hoop from you guys! I have experience with both polypro and hdpe and I must say I’m loving the slight weight the hdpe has! Polypro can be too light for certain moves and hdpe is a perfect remedy for that! The price is phenomenal! I’m very pleased! 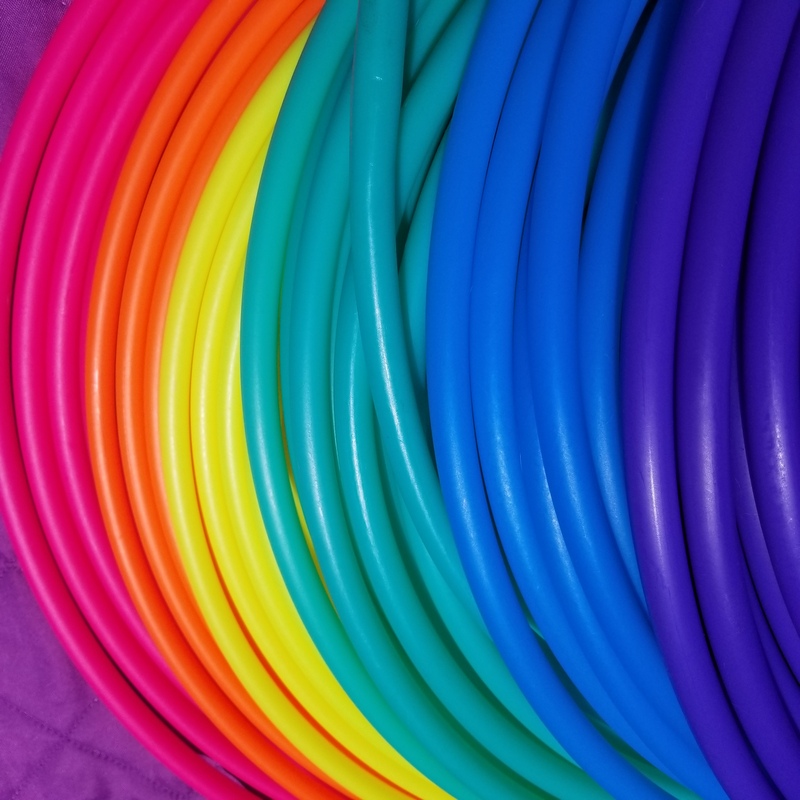 I am absolutely IN LOVE with my 40″ hdpe hoops! They have definitely changed my flow. So much so, I had to buy one for my friend and ahe agrees. They are so light, springy and durable. Mine have hit a brick wall numerous times and it hasnt damaged it a bit. Will definitely be ordering more in the future! Thanks lindsay for being so awesome! I LOOOOOVE MY NEW HOOP! The quality is beautiful! The color is beautiful! Super good shipping, great costumer service too! Definitely one of the bests hoops I own amongst the many! Thanks so much for making my lovely beautiful hoop!!! It feels soo good to hoop and now its going to the next level all BC of you babe thanx!!!! *-* The hoop is perfect in shape and size very responsive super light weight but juss enough weight to flow very beautifully! !!! Very very pleased with my new baby!!!! I absolutely LOVE my hoop! I got a sea glass HDPE with hot pink grip tape on the inside and see through iridescent tape on the whole thing. It is gorgeous! Everything about this experience was great, from the user-friendly ordering process to receiving my neatly packaged hoop on my doorstep. My next hoop will definitely come from Ruby Hooping! 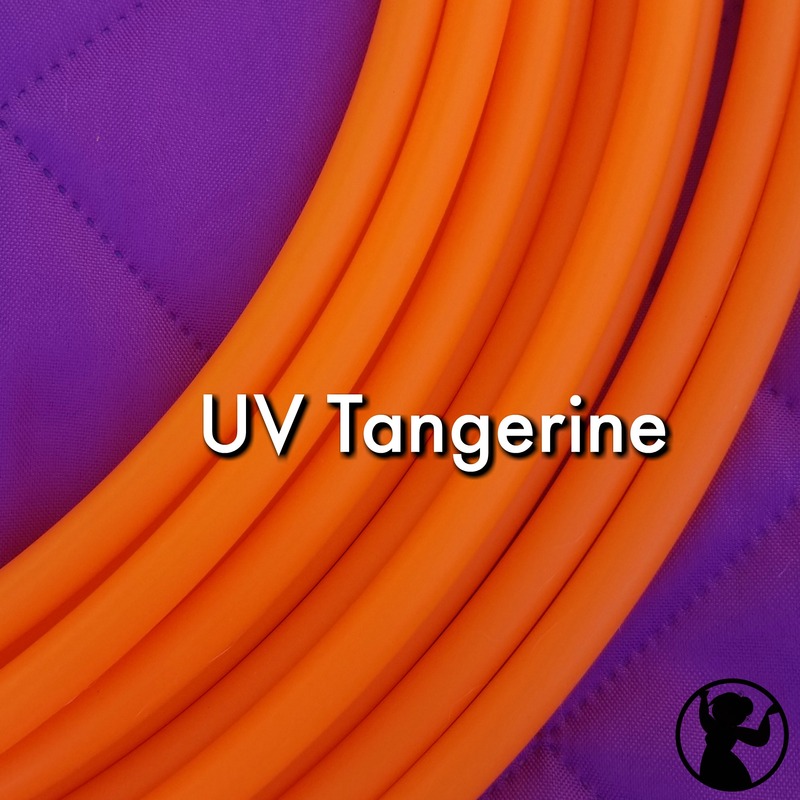 I ordered my first HDPE from here; a 35″ tangerine with blue spiral grip. I am totally in LOVE with this hoop!! It shipped quickly and uncoiled perfectly. She flows like a dream and has instantly become my new favourite hoop! I would highly recommend one of these babies to all my hooper friends. Couldn’t be more pleased with this purchase, and planning to order another very soon! Thank you Linz! Great communication and positive vibes are to be had when purchasing a hoop from Linz! Linz made sure that I received my new HDPE hoop in time for travels and I couldn’t be happier. I love my new beautiful white hoop in all its simplicity! I will be a returning customer for sure! Thank you Linz! This is my first HDPE hoop, and I’m in love. The finish is beautiful and the hoop is perfectly crafted. Super easy to uncoil. This easily became my favorite hoop. I will be a returning customer! wonderful! 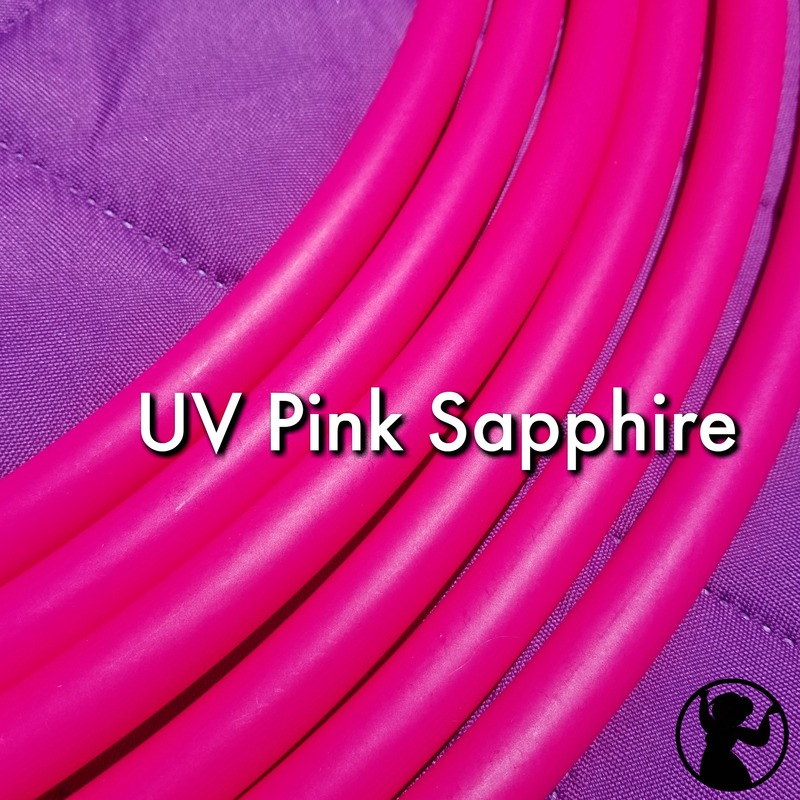 i ordered my first HDPE as i cant get hold of this tubing in the UK, she made it possible and very easy to order and my lovely hoop was delivered very quickly! perfectly made and customer service was excellent! Oh my goodness! I was a sworn polypro follower until yesterday. I got this new hdpe hoop and I cannot even describe how amazing it is. It came early, no wait time to uncoil, perfect connection, and amazing responsive material. There is no slack or wonkiness with breaks, which was my problem with polypro. I hooped for a solid three or four hours and it was sublime. I sincerely could not recommend this more, BUY ONE AND WATCH YOUR FLOW LEVEL UP IN A DAY!!!! I have nothing but nice things to say about Linz and her HDPE hoops! First off, customer service is top notch. I was in the middle of a move when I ordered, so I had a few questions about shipping. Linz was very accommodating and answered my questions! When they shipped it she messaged me personally to let me know and gave me the tracking number. I’ve never had someone do that before! I received it a day early too!! Now on to the hoop: it’s amazing! This isn’t my first HDPE, but I can already tell it’s my favorite. I got a naked ocean mist in 32in. The color is gorgeous and the pictures don’t do it justice. The connection is the best I’ve seen, very solid! I’m a fan of HDPE but this hoop has confirmed my admiration for it. I was able to take it out and go nuts! I’m hooping on my mom’s deck, so it’s bouncing off all over the place without a single scratch! It’s most definitely more solid than my other HDPE. It’s light enough to do things like isolations, tosses, ghosting, etc, but I don’t feel guilty going absolutely crazy with breaks! The lack of tape is something to adjust to, but I could feel myself getting more comfortable during my first flow sesh. All in all, I am very satisfied with my purchase!! Thank you Linz and Cecil! I love my HDPE hoop. The best part is not having to wait for it to relax from it being coiled down. You can un-coil it and it goes into a circle immediately. The tubing is very smooth so if you don’t get some grip tape, sanding is definitely a must. I got mine in Ocean Mist and the color is absolutely beautiful. The hoop feels wonderful and provides me with an entirely different flow style than my polypro hoops. First off amazing customer service, I am a beginner hooper and Linz answered all my question and went above and beyond to make sure I was completely satisfied with my order. Secondly these colors are amazing vivd and bright i have the tigerlilly and the blue pearl both are bright and beautiful just naked. Lastly HDPE is an amazing material it is so responsive, it doesn’t bend around you like other hoop you can push it and feel it on you yet its still light. Totally get one of these hoops this will be my most recommend hoop for sure. I received my 40 inch HDEP hoop today and I couldn’t be happier! The connection is great, and it uncoiled like a dream, and is beautiful! 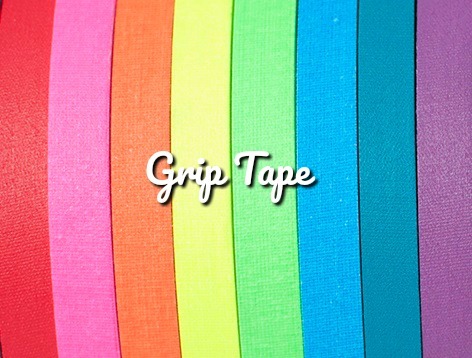 The tape is extra grippy and bright, just splendid! It’s light as a feather! I have coffee cups that are heavier! It showed up at my door in record time, and was wrapped up with lots of love. 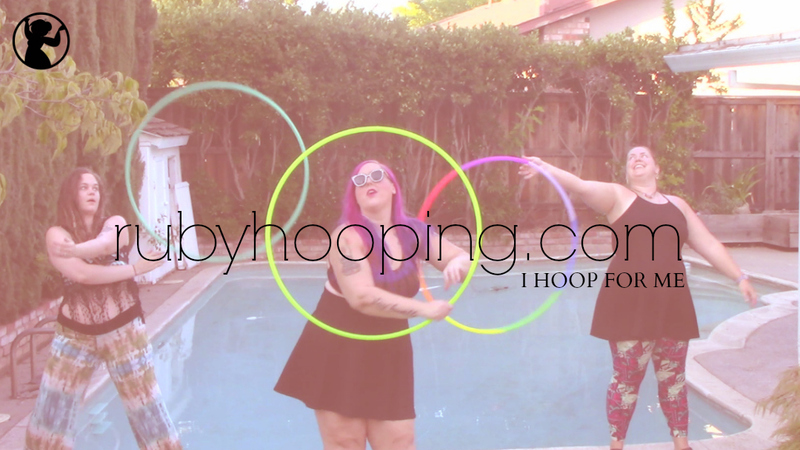 I will absolutely be getting many more beautiful hoops from Ruby hooping in the future. I used to only use poly pro. 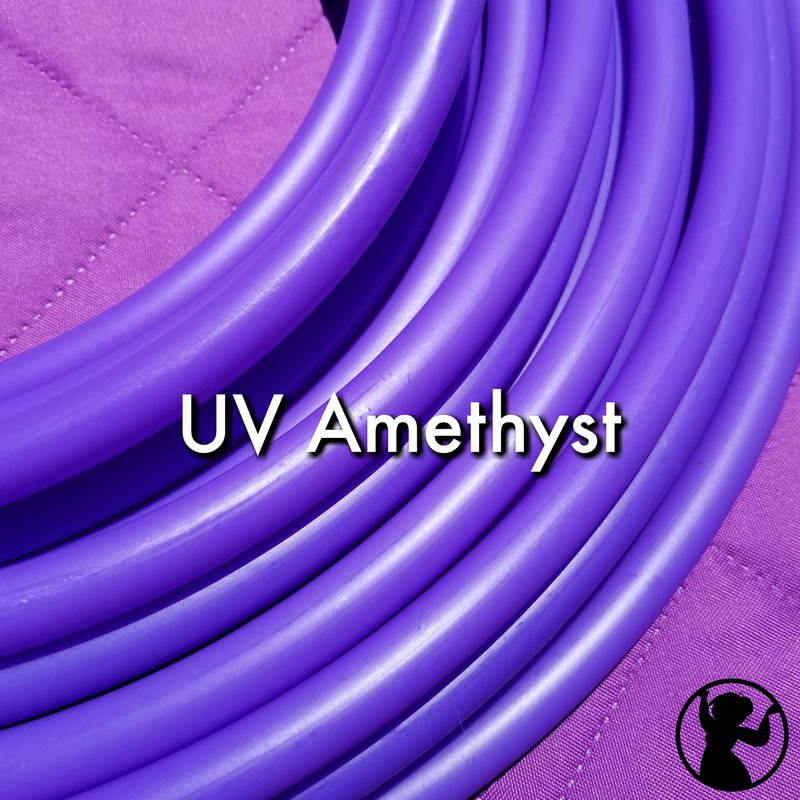 I read up on HDPE on the ruby hooping website and I initially did not believe the hype. 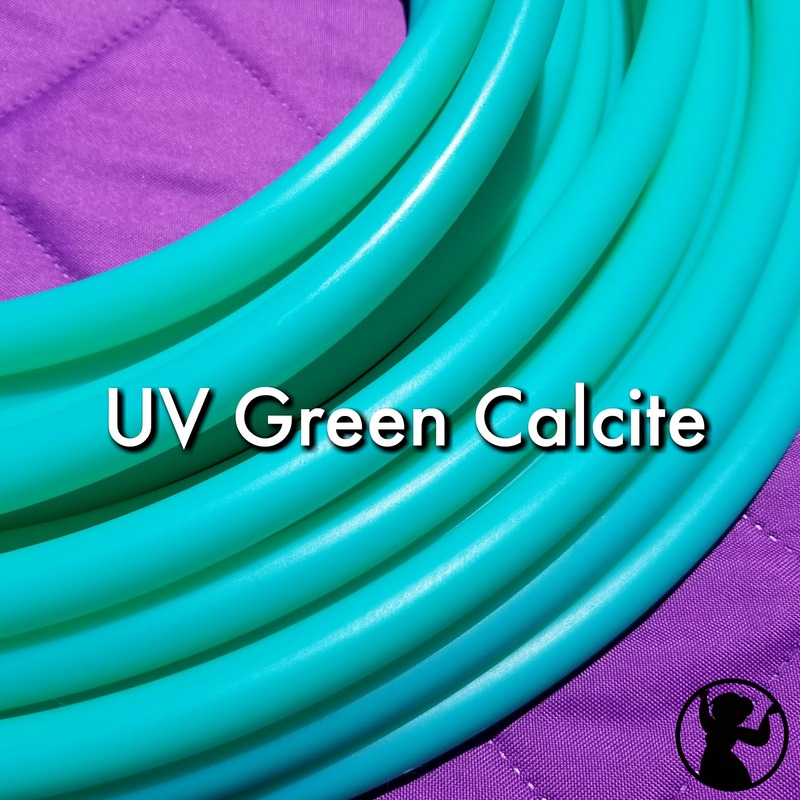 I came into contact with Lindsay and ordered my first HDPE and not only am I150% satisfied with my hoop, but also with her customer service. The owner of ruby hoops was available to answer any questions I had (and I had a lot). She was super friendly and courteous and I received my hop within a week of completing my order. When I received my hoop I was absolutely blown away by the quality of her craftmanship, and also by the quality of materials used. If you believe anything, believe the hype around HDPE. It’s so super responsive and light. Much more so than my polypro. It has true bounce and spring. Weight wise, it feels exactly like my polypro, if not, smoother. I cannot thank Lindsay enough for all her hardwork and for putting so much love into my order. I have ordered hoops from other companies. I will never make that mistake again. Ruby hooping is the absolute best. My Ocean Mist HD with purple inside grip, is not only gorgeous, but it is perfectly balanced. The time from placing the order to delivery was better than promised and Ruby hooping is the ONLY company to do that for me. Thank you for your excellent work! All my HDPE hoops come from ruby. Connection is always so perfect. Never that little bend gap you sometimes see. The push buttons are sooo easy! I often have time with some of my others but ruby makes them perfect for my tiny little hands! Thank you so much Brooke 🙂 Comments like this mean the world to us! Once again, I couldn’t be happier with my two new rubies in coral fire (3/4 -38in) and berrylicious (5/8 – 30in). Flawless connection and tape job. I don’t think I could buy from another hoop company. Thank you guys for another wonderful product! I selected a 5/8 34″ OD hoop in the color media a and I am so in love! It’s completely flawless! Linz outs so much love in her work and I got all my hoops way sssooner that I expected, which I love! Thank you Linz!!!! That was supposed to say the color Medusa. I also got ire orange in 5/8 32″ AND Seaglass 3/4 33″. All the hoops i just orderedwre so glawless. Flawless tape job and flawless connection!! On my other hoops, are on point. So flawless connectionand gaffer tape. If you are looking for a place to buy hoops and having figure out or struggling to find the right hoop, Linz will help you and her hoopsb are legit and on point!!! ♡ I will be ordering from this shop again and definitely recommend this shop to anyone! !! This hoop is too beautiful for words. Flawless connector, no gaps like some of my other hoops. Was torn because one hooper said that HDPE was “draggy” & nowhere near as responsive as polypro. I couldn’t disagree more. This is like having a dance partner as opposed to the inanimate stiff polypro. I’m sold!! !